Selling is not an art. 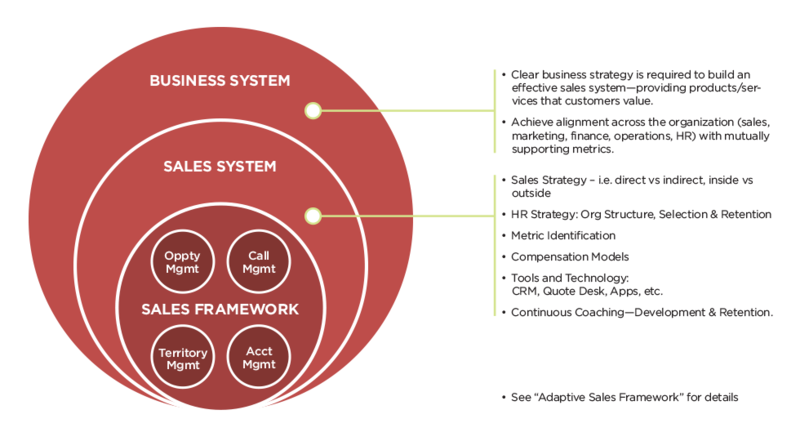 Selling is not a process. It’s both. 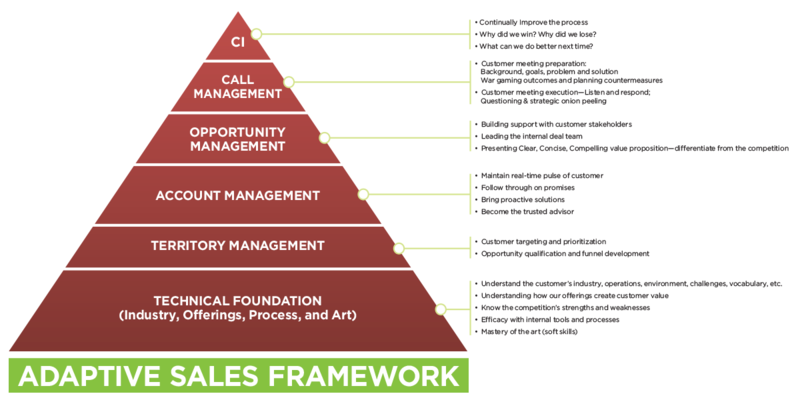 The most effective sales team follow a simple process, hone their soft skills through practice, and deliver extraordinary results. 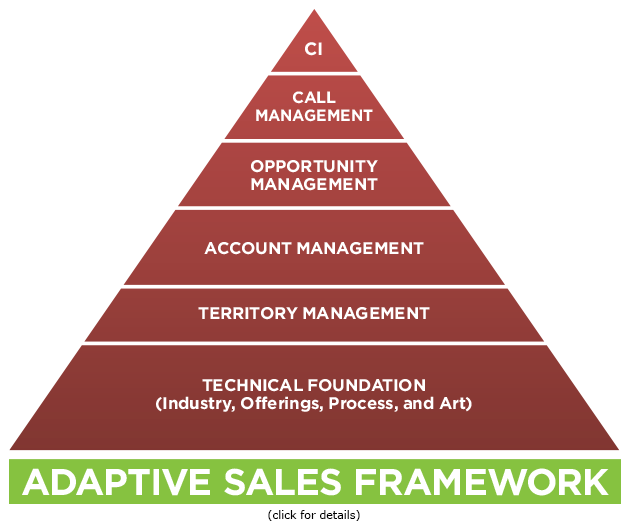 Adaptive helps you create a process that works for your market, team, and product. 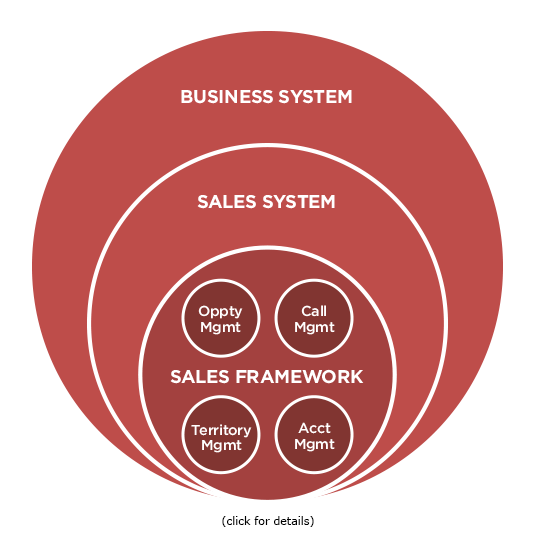 A successful Sales Framework is part of an effective business system. Adaptive’s capabilities span all three areas ensuring congruency across the organization.